GROWTH is redeveloping the historic Wilson Building, at 210-217 5th Avenue South in the heart of downtown Clinton, Iowa. 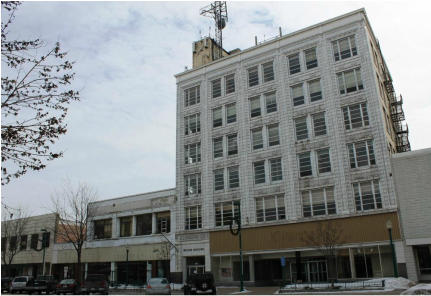 The project includes preserving and transforming the Wilson Building into a mixed-use development with residential rental units and first floor commercial space. 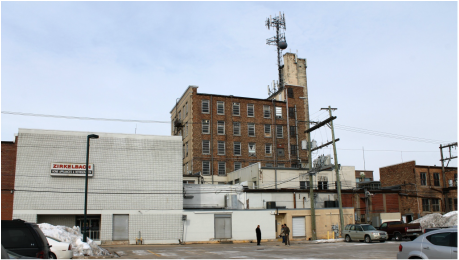 The development includes the creation of 32 residential market rate rental units, reducing the first floor commercial space to a total 9,360 square feet facing 5th Avenue South, allowing for the development for two-story, townhome type apartments coming off the alley facing 6th Avenue South. Residential lofts are 504 square feet, with one and two bedroom rental units ranging from 660 to 1,330 square feet. Redevelopment costs for Wilson Lofts totals $10.6 million and involves six layers of financing which include the following Self-Supported Municipal Improvement District 2 (SSMID) from the Downtown Clinton Alliance, Tax Increment Financing from the City of Clinton, Workforce Housing Tax Credits, Historic Tax Credits, Brownfields/Greyfields Tax Credits, and private debt. Interesting Fact: Built in 1914 as Clinton’s largest and most modern office building, the Wilson Building stands six stories tall, making it the tallest building in Clinton’s downtown business district. 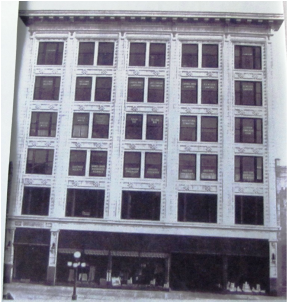 Above: Historic photo of the Wilson Building, mid 1900's. Below: Logo for Wilson Lofts and view from the 5th floor of the Wilson Building. Below Left: Rear façade of the Wilson Building today. 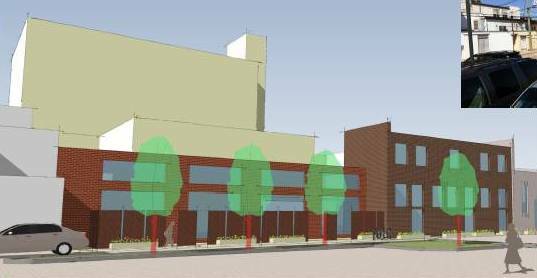 Rendering of the new façade, complete with buried utility lines. Residents of the Wilson Lofts will mainly enter in from the rear of the building. GROWTH intends to advance the Wilson Building's historical intent by creating market driven housing that will ignite additional investment in the downtown. As an experienced community based developer, GROWTH has experienced firsthand how projects like the Wilson Building can stimulate further investment, turning good downtowns into great destinations. Research has demonstrated the substantial value returned to communities that invest in the renewal and improvement of historic assets. The Wilson Building, now listed on the National Register of Historic Places, is intended to advance commerce and economic prosperity in the downtown. By redeveloping historic buildings and putting them to use, the downtown economy is stimulated, citizens are provided with equal, fair, and quality housing opportunities, local contractors are provided with work, and local tax rolls are fed.